The visit of Pope Francis to the Gulf states from Feb. 3-5 marks yet another step forward in the "dialogue of life" between Christians and Muslims in today's world. The pope will travel to Abu Dhabi for the first time after accepting an invitation by His Highness Sheikh Mohammed bin Zayed Al Nahyan, crown prince of Abu Dhabi, to participate in the International Interfaith Meeting on "Human Fraternity." 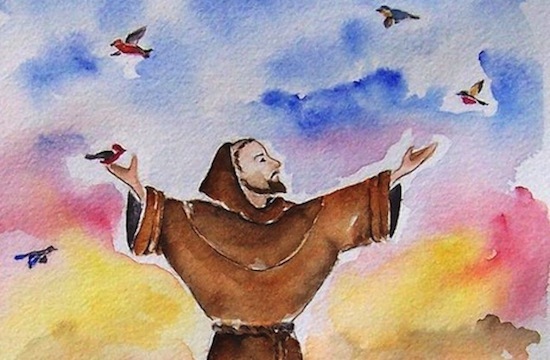 In a way, Francis is doing what his great and saintly predecessor St. Francis of Assisi did centuries ago (1218) when he visited the sultan Al-Kamil in Egypt on a mission of peace. For far too long, Christians and Muslims have fought each other in "fields of blood" (in the graphic phrase of Karen Armstrong). As Bishop Paul Hinder, vicar apostolic to Southern Arabia, puts it: "Whether it is Christians among Muslims or Muslims among Christians, we have to learn to live in harmony with one another." "In the Gulf, we are a migrant church and I am a bishop of migrants. "Three years ago, I wrote a pastoral letter to my people, beginning: 'These days we read almost every day about people discriminated against, tortured and even killed; some because they belong to a particular tribe or race; some because they have a different religion. "But though we may be different in outlook, ethnicity, culture and clothing, we all want the same — faith, hope and love. Even though we come from various backgrounds in the Gulf, we are able to live with each other in peace and harmony.'" Bishop Hinder remarks how the many parishes in the United Arab Emirates and the rest of the Gulf Cooperation Council countries accept these differences and are very vibrant and alive. Every culture celebrates its customs and devotions — for example, Filipinos have a nine-day series of Masses leading up to Christmas, attended by thousands of faithful either before work in the morning or in the late evening. Other than the Catholic Church, our Protestant and Orthodox brothers also have churches throughout the Emirates. Other faiths that have places of worship in the United Arab Emirates include Hindus and Sikhs. The United Arab Emirates is a very tolerant society. Some cultural practices are often misconstrued as Islamic practices, and this is what the many conferences and discussions aim to set right. After all, not so long ago, Western "Christian" societies themselves did not permit freedom of religion to other communities and persecuted them. The practice of the "dialogue of life" helps each culture to move toward greater tolerance and makes for greater interconnectedness. Persecution is the sign of an aggressive and belligerent society, and it is directed toward not just Christians but also Muslims of other traditions such as Shia and Ahmadiyya. The more a society seeks peace, the more it accepts the "other" and grants them the space for religious worship and civil rights. Pope Francis has visited several Islamic-majority countries including Turkey, Bosnia, Azerbaijan, Egypt and Bangladesh. He continues this mission of bringing about peace through dialogue and resolving religious tensions between Muslims and Christians. Father Myron Pereira SJ is a media consultant based in Mumbai, India.